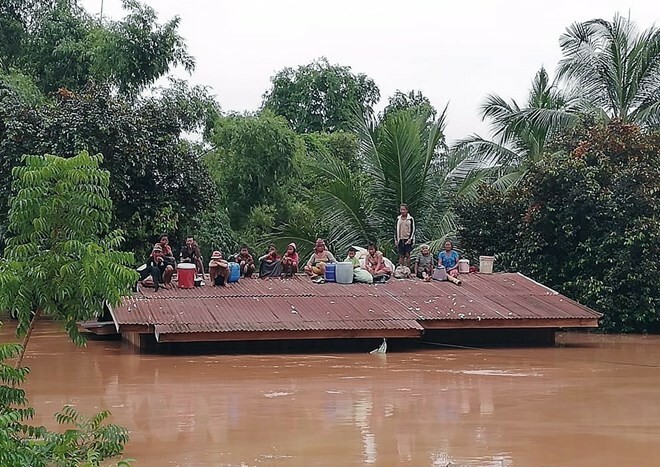 (VOVWORLD) -Top leaders of Vietnam have expressed sympathy for the loss of lives and property caused by the collapse of a hydropower dam in the Lao province of Attapeu on Tuesday. Party General Secretary Nguyen Phu Trong and President Tran Dai Quang on Tuesday sent messages of sympathy to General Secretary of the Lao People’s Revolutionary Party and President of Laos Bounnhang Vorachit. Prime Minister Nguyen Xuan Phuc cabled a message of sympathy to Lao Prime Minister Thongloun Sisoulith, while Deputy Prime Minister and Foreign Minister Pham Binh Minh sent a sympathy message to Lao Foreign Minister Saleumxay Kommasith. The same day, PM Phuc phoned PM Sisoulith to say that the Party, State and people of Vietnam are ready to help the Lao people recover from the disaster. In related news, Vietnam’s Hoang Anh Gia Lai Joint Stock Company has evacuated 26 workers from the flooded area. All Vietnamese people living in areas affected by a dam collapse in Laos’ northern province of Attapeu have been reported as safe. President of the Vietnamese Association in Attapeu, Vo Van Mung, said affected people have received 2,200 USD, food and other necessities. Reporters from Vietnam News Agency have arrived in the worst hit area, in the wake of the collapse of the Sepien-Senamnoi hydropower dam. The only route to the Xanamxay district remains inundated. Tens of tons of relief goods are bottle-necked outside of the isolated areas. The Mekong River Commission reports that data collected from observatories show that the hydropower dam collapse doesn’t affect Vietnam. 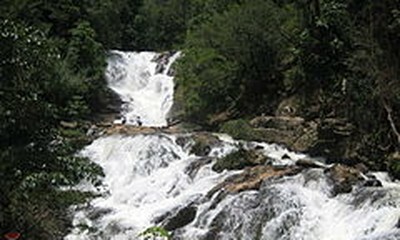 The Sepien Senamnoi hydropower dam collapsed at 8pm on Monday, causing flash floods in 10 villages in lower areas and completely isolating Sanamxay district. The disaster has left more than 100 people missing and 6,600 people homeless. Rescuers have recovered 28 bodies and are continuing to search for the missing.